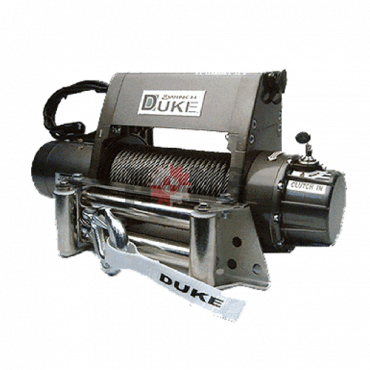 Introduction Of DUKE Brand Electric Winch. 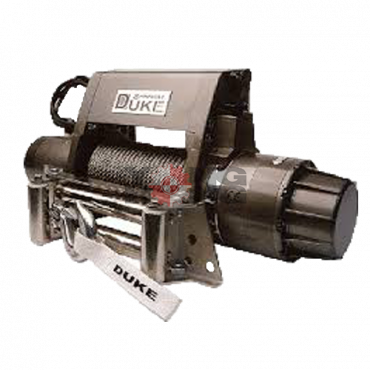 1) The DUKE Electric Winch Adopt. 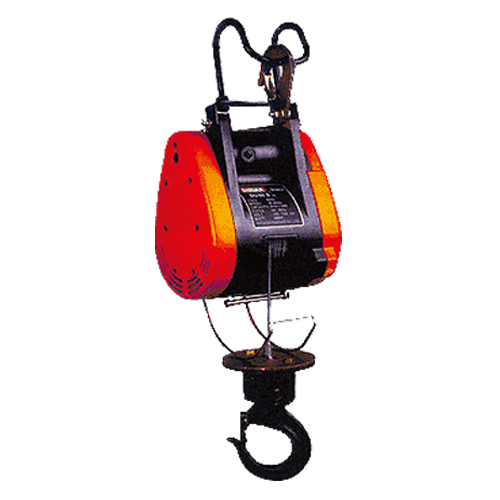 Brake System: (1) Motor Brake (2) Mechanical Load Brake. 2) Rugged Aluminum Alloy Body Construction Provide Lightweight, Compact & Short Headroom. 3) Adopt High Tensile Alloy Wire Rope. Galvanized & Wear Resistance. 4) All Gears And Pinion Shaft Are Made From High Quality Alloy Steel Of Extreme Surface Hardness And Support On Both Ends By Anti-Friction Ball Bearings. 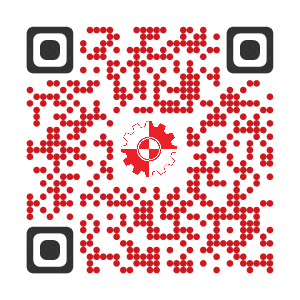 Gears Operate In Sealed Oil Bath. Braking: Dual braking system combines dynamic and mechanical braking, provides instant and safe braking. 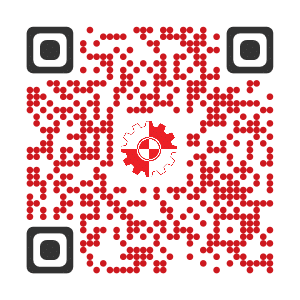 Gearing: Precision machined gears heat treated for strength and durability, the ball or needle bearings at all rotating points run in oil bath lubrication for a quieter, smoother and cooler operation. 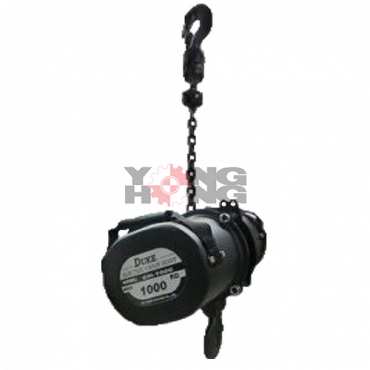 Upper limit switch: When hook disc touch it, the motor will automatically stop. Push button: Easy to maintenance, simply layout of the control with 7M power cable as standard and emergency stop as option. IP RATE: Heavy duty IP65 waterproof. 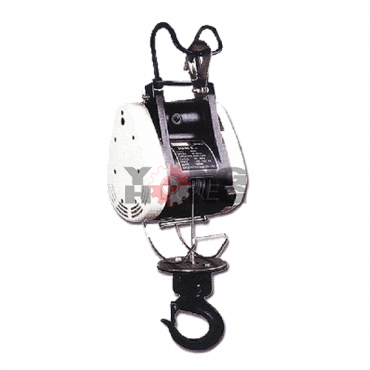 Chi Zong Machine Co., Ltd. is the number one professional manufacturer of winch & hoist in Taiwan. 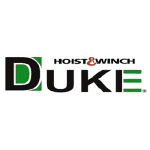 We developed a leading quality of Taiwan brand “STORNG” and our exporting brand name is “DUKE”. Our company established in 1979 and we producing excellent quality of hoisting equipment for 30 years.